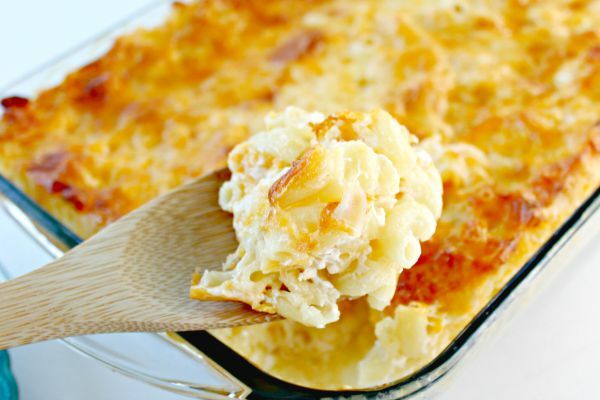 This Easy Baked Macaroni and Cheese Recipe will quickly become a family favorite! Bonus…you don’t even have to boil the noodles first! Friends, this baked mac and cheese has been our family go to for years. We first had it at a BBQ years ago, and we’ve been making it ever since. For years, we called it Uncle Bill’s baked mac and cheese because we were originally told that the recipe was Matt’s Uncle Bill’s. Then a few years ago, we learned that it was Aunt Missy’s recipe. At least that’s what we think…whoever’s recipe it is, it’s our favorite. When we go to a cookout or pot luck, this is what I am always asked to bring…by both kids and adults! 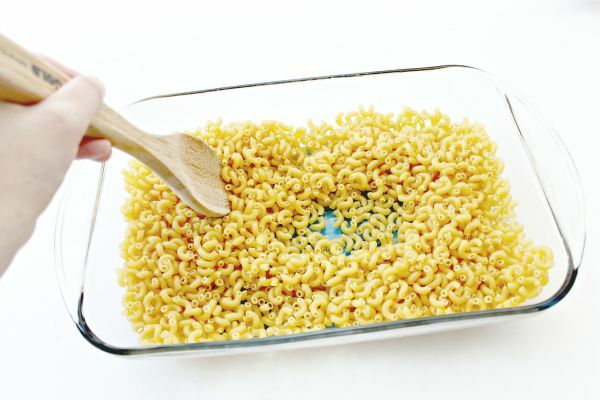 The best part…you don’t have to boil the macaroni first, and it only takes a few ingredients. Put it all together in a dish and pop it in the overn, and you are done! 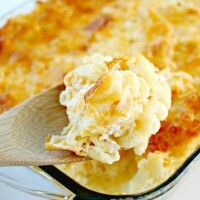 Without further adieu, her is Uncle Bill’s, Aunt Missy’s Baked Macaroni and Cheese! Be sure to Pin this recipe to your favorite PINTEREST Board for future reference! 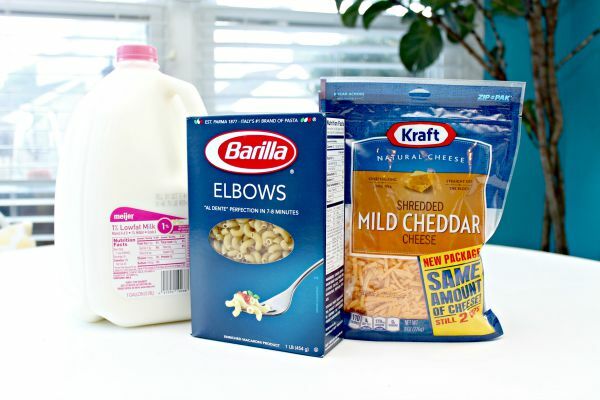 You only need butter, milk, a box of elbow macaroni, and shredded cheddar. You will find the full recipe that you can save below! The first step is to mix the macaroni with melted butter. Step 2, add the shredded cheese. I like to use change the cheese up some. 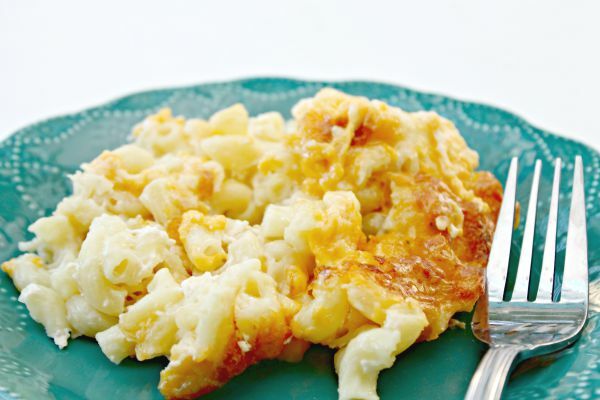 The best Macaroni and Cheese you will ever eat…no boiling necessary! 3 tablespoons of butter melted. 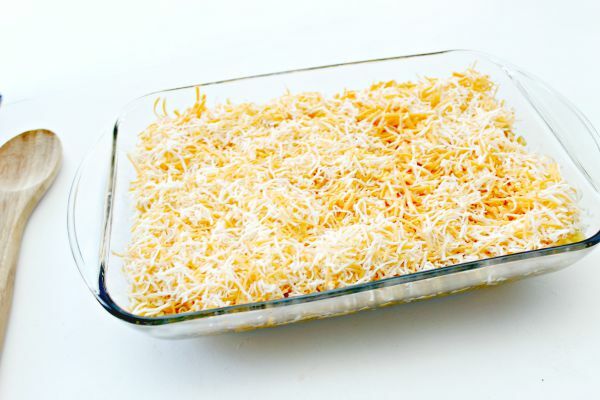 Start by melting the butter in a 9 X 13 casserole dish. Once the butter is melted, mix in your dry macaroni. 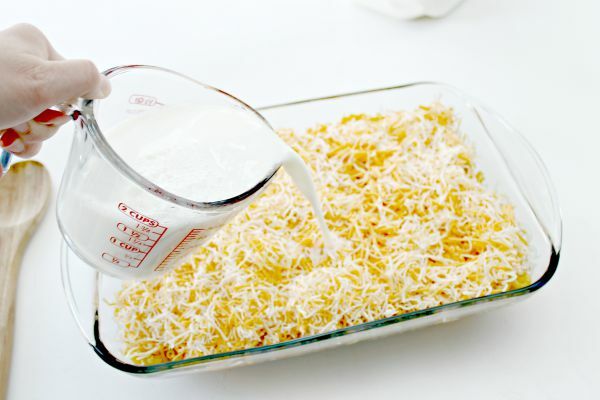 Next, top with shredded cheese, then add 6 cups of milk slowly. Place in the oven and bake for 1 hour. Remove and serve! 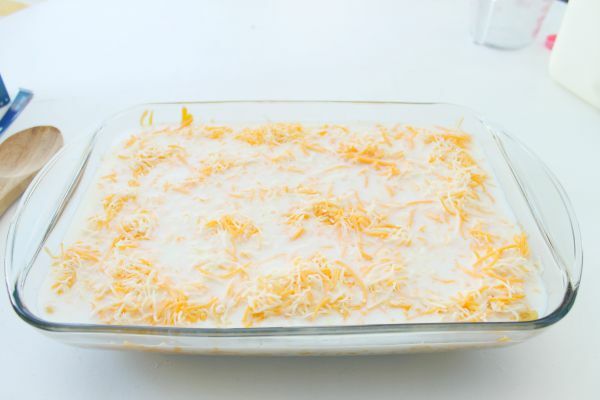 You can definitely make 2 or 3 trays of this at a time in aluminum pans for easy cleanup! Perfect for summer BBQs and pot luck dinners. I hope your family enjoys this recipe as much as ours!